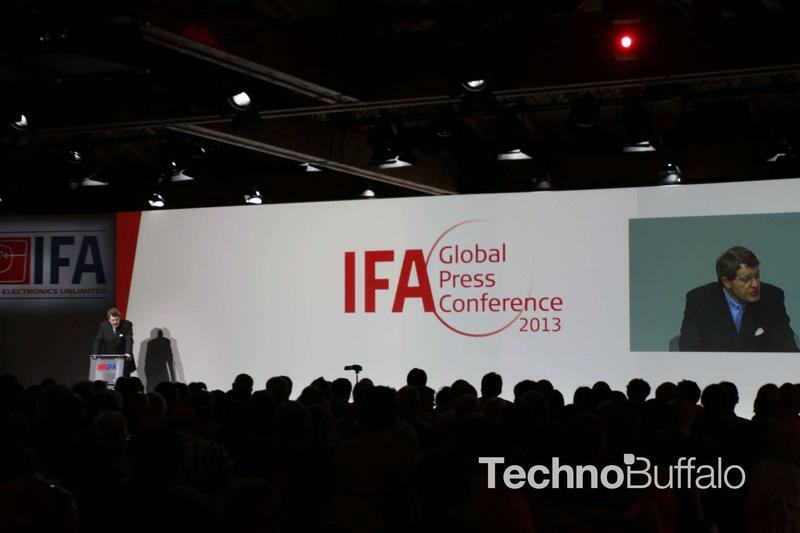 We had the fortunate opportunity to be invited to this year’s IFA Global Press Conference (GPC) that took place this past weekend. Over 300 journalists from 55 nations joined in on a weekend packed with company and industry updates in Sardinia, Italy. 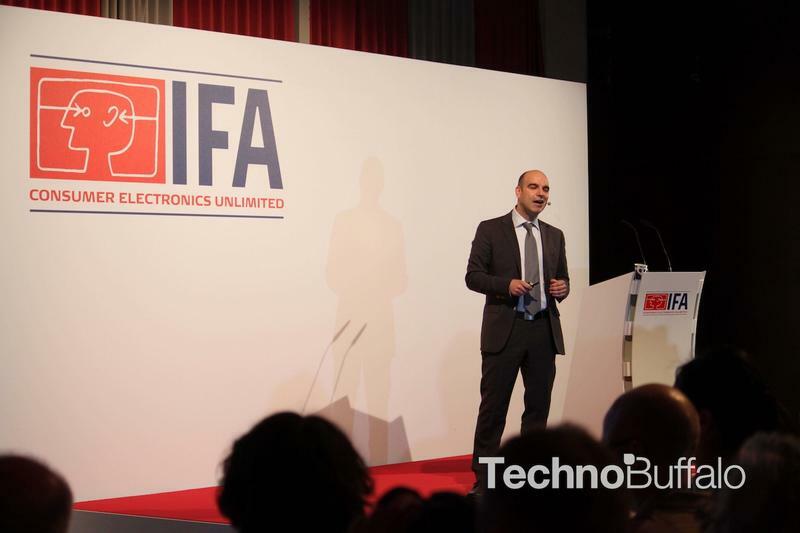 This event is not like the main IFA affair that takes place annually in Berlin, which is packed with new product announcements and hands-on/first look videos. The GPC is still an interesting experience for entirely different reasons. In theory, you’re granted a few hints of what to expect from companies and the entire consumer electronics industry as a whole. The event is more of a parade of CEOs, senior executives and product managers reciting a lot of statistics and growth opportunities and concerns for the short and long term. For me, I saw a lot of interesting industry trends that gave me insight to where the industry is headed. 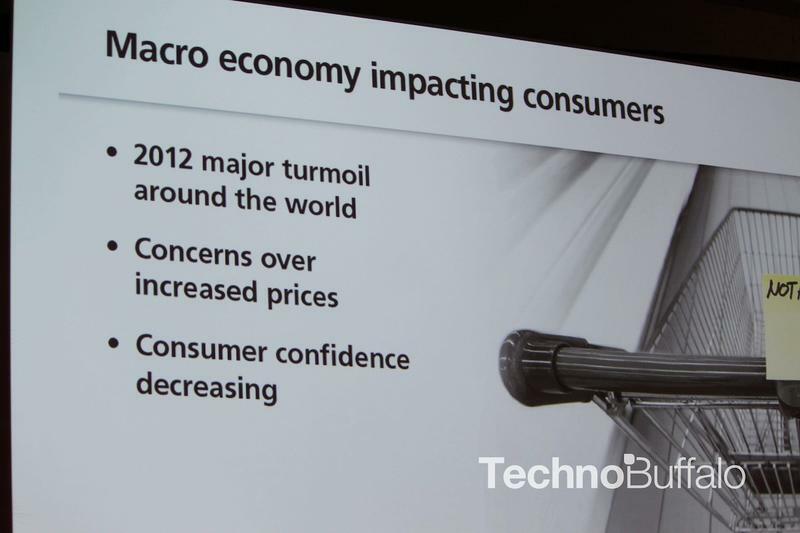 First and foremost, the industry is looking forward to 2013. The companies I spoke with felt the overall industry will garner net positive growth and that most of the growth will be in developing nations (specifically in the regions of China, India, Africa and the Middle East). The largest market for concern is in Western Europe, as there is still risk of economic instability in the region; the industry hopes the European Union shows no losses for 2013, but is prepared for single digit percent losses. The North American market is expected to grow in low single-digit rates. They hope the Chinese market doesn’t cool as some analysts have predicted. Yes the question about a cheaper iPhone was posed multiple times. And GfK analyst, Gerard Tan, calmly answered “yes, we believe this makes sense for Apple.” He sees that Asian markets show 72 percent Android adoption rates, mostly attributed to the “right” price point. The same study showed the importance of ecosystems and its overall returns for the OS, in terms of returning users. In emerging markets, Apple is losing out significantly, with the sole reason that products priced out of reach for these consumers. Samsung’s European Senior Director, Sales & Marketing TV/AV, Michael Zoeller took the stage and focused heavily on televisions, in the breakdown of TV sets, the emphasis was heavily skewed on improving visual quality through Ultra High Definition (4K, 8K) sets; part of that push is also heavily invested in SmartTV implementation. Most consumers have not yet embraced SmartTV tech so the potential is still great for manufacturers. Panasonic CEO of Lifestyle Entertainment, Wiebo Vaartjes and Martin de Vries, CEO TP Vision (Panasonic’s TV development partner) echoed the same comments, as well as touting how well their audio-entertainment products are doing: Panasonic sells headphones (in-ear and over-ear sets) one every second, and its “soundbar” division grew 100 percent over the previous year. 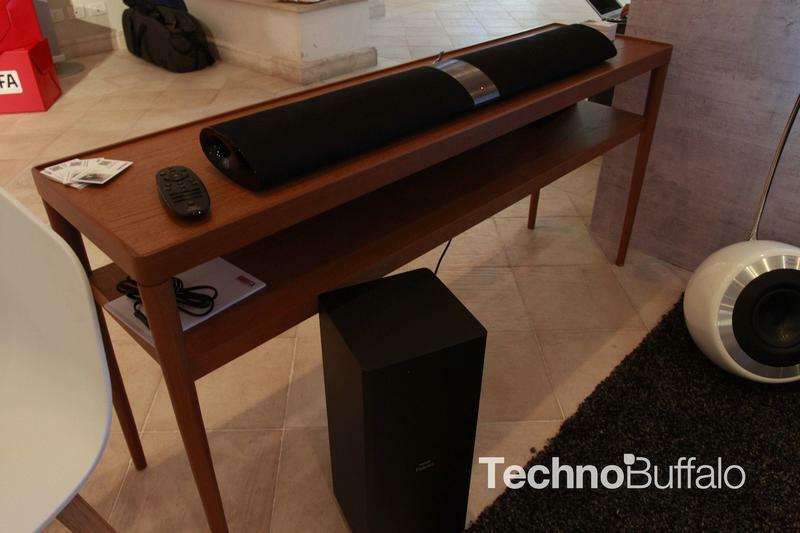 While it appears manufacturers will make improvements in audio quality with next generation TV sets, the external speaker source industry is a very lucrative product segment for manufacturers. From an overall industry perspective, my biggest takeaway was how the industry will have to create either 100-inch displays (at current 50-inch set prices) or 50-inch displays that costs the equivalent of smartphone today to keep up with price-size trends. SmartTVs may not be the newest tech, but it has still not caught on with all consumers. Unsurprisingly, more economical, less-feature packed sets are most popular in developing countries. While other developed nations continue to embrace the technology, it still has a way to go before becoming the norm. 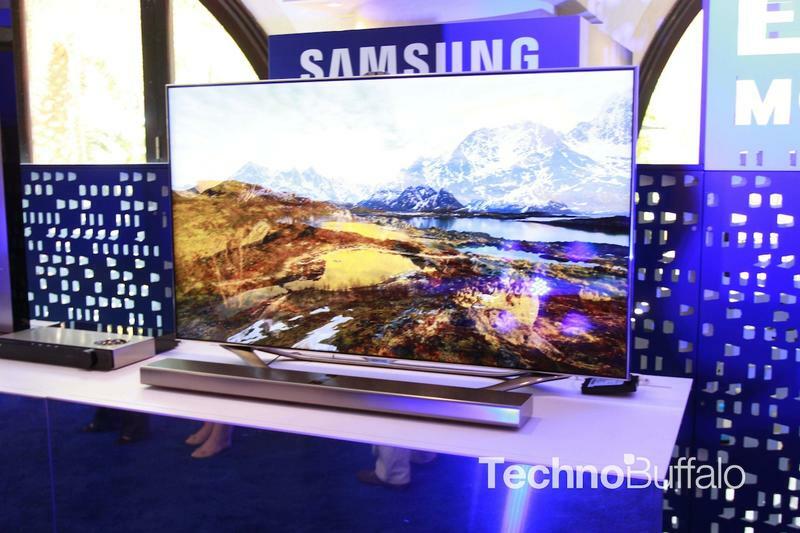 But as Samsung puts it, the industry needs SmartTV tech to catch on in order for UHD sets to catch on. UHD quality content is quite lacking at this point and the distribution model for that content is significantly lacking. While Samsung forecasts cable providers may be able to provide UHD content in about a decade, physical media (Blu-Ray codecs) are likely to be available prior to cable content. Streaming media is the more likely candidate that can deliver UHD content soonest. Sony stated during CES 2013 that it will have UHD content available for download (one day), Samsung is looking for its partners (and likely its own store) to offer the content in the next couple of years. The TV industry is hoping for expanded streaming options for consumers outside of the U.S.
Here’s one takeaway: look for prices to stop dropping on TV sets over the next few years. The recommendation has been to stop competing for market share but rather on market value. Look for TV manufacturers to push UHD sets and an increased marketing effort to educate consumers on the benefits of pixels as it pertains to larger/clearer displays. Look for DPI and PPI to be key statistics for purchasing UHD sets. As most consumers don’t fully understand that the resolution of sets do not increase as the size of the displays gets larger, rather you’re getting worse quality content as the screens become larger. Bigger doesn’t always mean better, UHD aims to change that. Proponents claim that you NEED UHD, especially if you explore 55-inch or larger displays. 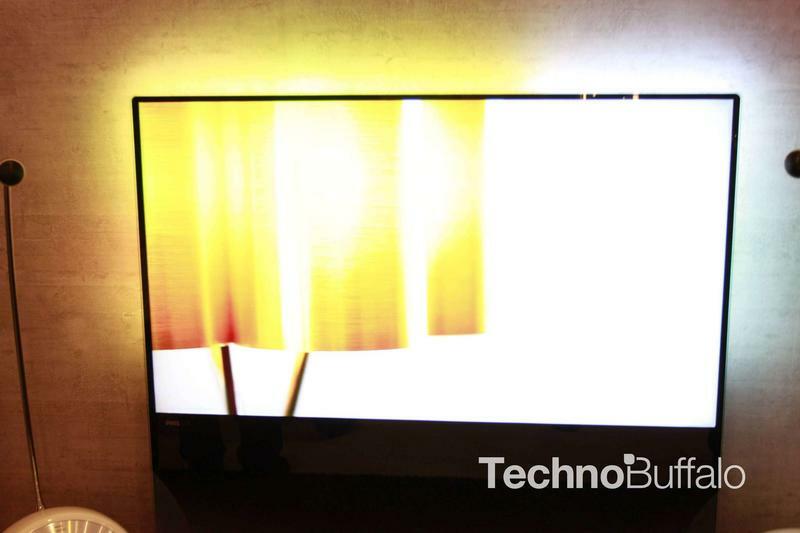 While neither Samsung or Panasonic announced any new sets during the show, Samsung stated UHD sets will be announced at IFA in Berlin in both smaller and larger variants of its 85-inch 4K TV announced at CES. GfK analyst, Tan also answered questions about wearable technology, such as health-care devices, interactive wristwatches and whether or not products such as Google Glass will become more popular. In general, the consumer electronics industry is looking forward to these accessories as they further adds value to mobile products. The category has not yet been defined for analysts and while no figures are yet available, Tan said he feels this will be a growing market and certainly will give a slight increase in respect to mobile device shipments. The number of households in Europe expands at a dispprtionate rate compared to number of births, attributed to divorce. South Korea is the only market to have negative tablet adoption rates, thanks to the push for phablet devices. Is this a trend we will see in other regions? Most Kobo e-reader owners own both tablets and Kobo e-readers, and expect to upgrade their Kobo e-reader in at least the next 12 months. Product convergence is killing digital camera sales. Europe loves 1000+ Euro “bean to cup” coffee drink machines, and so do I.
IFA Berlin will be larger than ever, in floorspace, exhibitors and attendance. 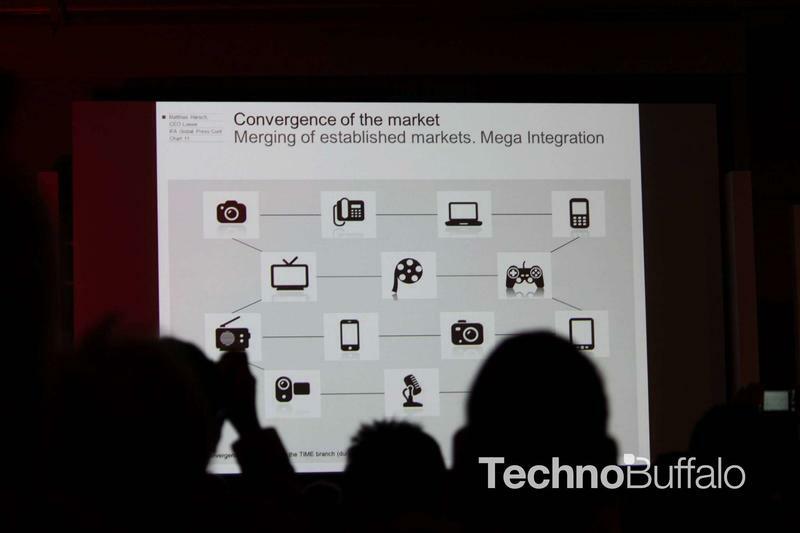 Overall the IFA Global Press Conference got me thinking more about what the next “smart” device category will be. Consumers readily embrace smartphones and Smart TVs, but what about smart appliances and smartwatches? At any rate, we’ve learned that smart devices are only as good as what the user does with them and these products need to talk to each other in order to be fully integrated into every day life. While we didn’t specifically learn of any new phones, tablets or TVs from this event, we got a pretty macro-roadmap of where the consumer electronics industry is heading for the next few years.